What goes hand in hand with an awesome service? An awesome website, of course! 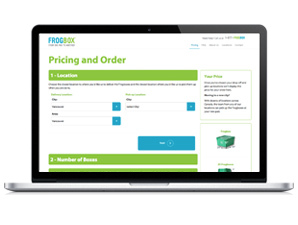 We’re thrilled about our brand new website which makes ordering your FROGBOX moving boxes and packing supplies easier than ever. We’ve designed it especially for you – yes, you! We’ve employed responsive design, so it’s easy to use on all of your devices. 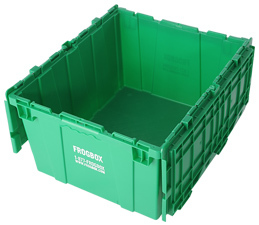 This means you can order FROGBOXes while sitting on your cozy couch or while in the middle of a dance party. Order them wherever and whenever it suits you! It will help you decide what’s right for you. 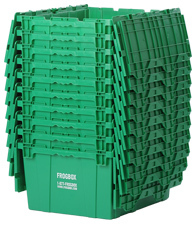 Our website will guide you through your order step-by-step, helping you to choose the number of boxes based on the size of your home and the amount of stuff you have. Whether you are a minimalist or a collector, we’ve got the right bundle for you. We understand that our customers have different needs – that’s why we now offer 12 different bundle options instead of 4. And you always have the option of customizing your order, too. It shows you what you need to know. Your Price and Your Order are summarized prominently on the right side of the page and are updated immediately as you make your selections. No surprises here. You’ll know exactly what you’ll be paying for your packing supplies when we arrive for delivery. It looks better. The new site is easier to use in part because it’s easier to look at. It’s simpler and cleaner. Items have better descriptions. Our location map is prominent and interactive. And we’ll continue to improve and adapt content to keep things easy and clear.